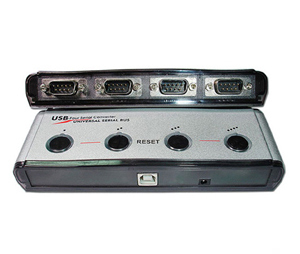 If you need four individual serial RS232 ports connected to your computer via one USB port then this 4-port USB to serial hub is what you need. Once the drivers are installed it will create four individual virtual COM ports which will show up in your computer's Device Manager, each with its own COM port number. You can then use each port as if it was a single standard built-in COM port. The included driver software will let you change the COM port numbers and several other port settings such as baud rate, data bits and stop bits. 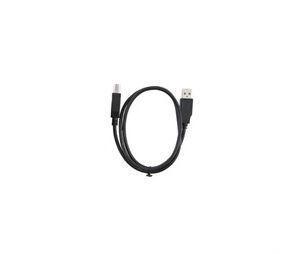 This 4-port USB to serial adapter is designed with the high performance FTDI FT232RL processor chip and drivers which ensure compatibility with all versions of Windows, Linux and Mac and also supports the majority of serial devices on the market. Each COM port has protection against static electricity for up to 15KV so you can use this unit with most laboratory, commercial and consumer products and applications without the need for additional electrical protection. For industrial applications and devices sensitive static electricity and high voltage spikes we recommend using one of our optically isolated USB to serial adapters.